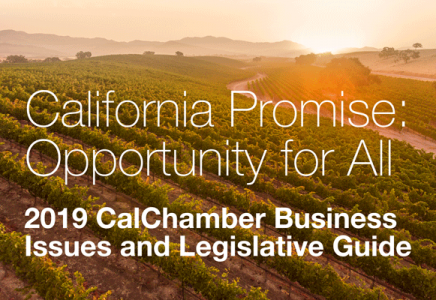 At the 93nd Annual Sacramento Host Breakfast, CalChamber released a video highlighting the Governor’s record which shows how experience and a good sense of history can serve California well. Besides spearheading efforts to restore balance to the state budget, set up a rainy day fund and improve California’s schools, he has been a strong proponent of investing for the long term to put the state’s water, energy and road systems in better shape to handle the demands of a growing California. The annual gathering was attended by more than 1,400 civic and business leaders from throughout the state.